On Thursday, Feb. 2, a pickup driver was found parked on top of a Toyota Camry in Ocala, FL. According to the victim and several other witnesses, the driver of the pickup, 18-year-old Zach Waring was more than justified in his actions. Apparently, Adalberto Aponte, 53, had been driving recklessly, nearly causing multiple accidents. When Waring confronted Aponte, Aponte pulled up behind Waring, got out of his car, walked up to pickup’s driver’s side window, and proceeded to hit Waring multiple times in the face. Waring tried to stop him, but when he was unable to, Waring’s girlfriend, Taylor Rich, began to shout that they had a gun. Aponte apparently said, “I’ll show you a real gun,” and went back to his Camry to grab it. Fearing for their lives, as well as the life of their infant who was in the back seat, Waring did the first thing that came to mind: he reversed the truck and ran over Aponte’s Camry. Aponte was not injured, but was arrested for multiple different charges. While Aponte brought road rage to a whole new level of criminal activity, road rage occurs every day on Florida roads, and can lead to physical injury and property damage. Fortunately, Waring and his family were safe and intact following the incident with Aponte. However, not all road rage victims are so lucky. If you were involved in a road rage accident in Orlando, FL, and if you sustained serious injuries and/or property damage as a result, you may be eligible for a personal injury claim. Reach out to the car accident lawyers at The Pendas Law Firm for a free assessment of your case, and for help with filing your claim. 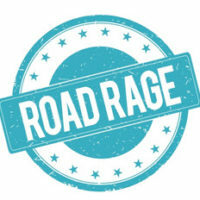 It is not enough to claim that the other driver hit you because “they were mad.” In order to prevail in a road rage lawsuit, you must prove the three elements of any other personal injury claim: that a legal duty was owed to you, that the defendant breached that legal duty, and that due to the breach, you suffered damages. When a Florida driver signs off on their acceptance of a Florida driver’s license, they are simultaneously accepting the duty to act with care, and to take reasonable measures to ensure the continued safety of others on the road. If the aggressive driver swerved into you and ran you off the road, drove too close to you and therefore caused an avoidable rear-end collision, or performed another careless act as described under Fla. Stat. 316.1923, they are guilty of a breach of duty. Finally, you must prove that the breach of duty result in damages. The purpose of awarding compensatory damages in personal injury cases is to help the victim become “whole again.” Because of this, a person cannot sue an aggressive driver because they are mad; they must have endured physical injuries, medical bills, missed work, property damage, mental anguish, and/or any other type of damage in order to prevail in their claim. If you suffered any of the aforementioned, as a result of the other driver’s reckless behavior, you have all the makings of a successful personal injury claim. At The Pendas Law Firm, our Orlando personal injury lawyers have helped hundreds of clients successfully recover the compensation they need to heal after another person’s negligence resulted in physical, emotional, and financial distress. If you were recently involved in a road rage accident, and if your injuries are great, call our car accident lawyers at 888-LPENDAS or contact us online. The Pendas Law Firm also serves clients in the Tampa, Fort Lauderdale, West Palm Beach, Fort Myers, Miami, Daytona, Bradenton, and Jacksonville areas.